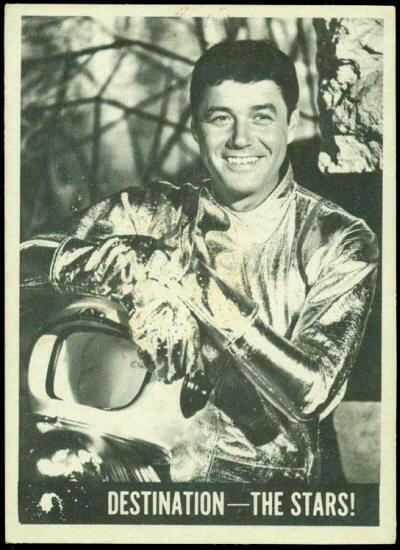 Lost in Space, Destination - The Stars! 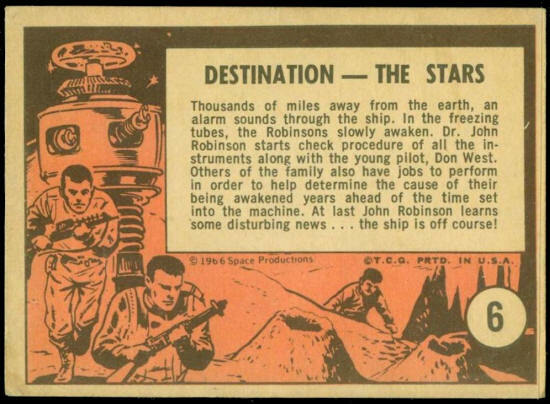 #6 Destination - The Stars! Thousands of miles away from the earth, an alarm sounds through the ship. In the freezing tubes, the Robinsons slowly awaken. Dr. John Robinson starts check procedure of all the instruments along with the young pilot, Don West. Others of the family also have jobs to perform in order to help determine the cause of their being awakened years ahead of the time set into the machine. At last John Robinson learns some disturbing news...the ship if off course!